Cook chopped bell pepper and white mushrooms with chopped onion in olive oil in a pot over medium heat, stirring occasionally, until tender, 10 to 12 minutes. Add garlic cloves (finely chopped), chili powder, chopped canned chipotle chile in adobo, and cumin and cook, 1 minute. 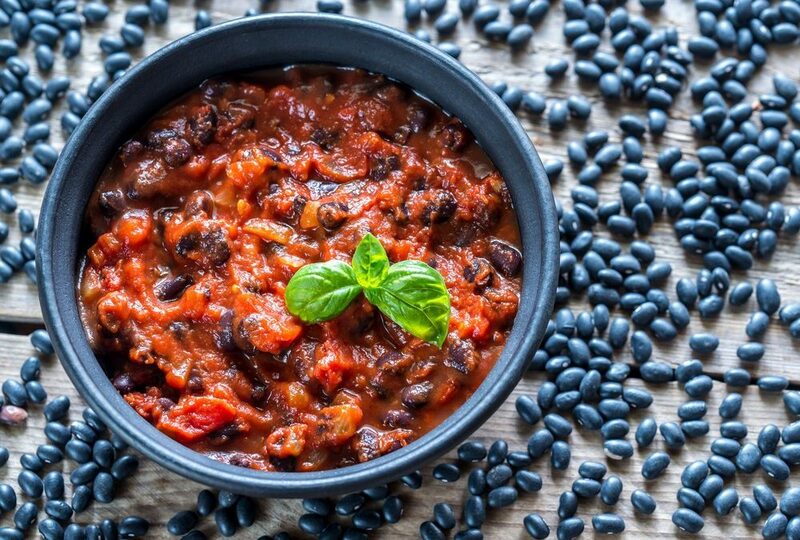 Stir in one can low-sodium black beans and canned no-salt-added diced tomatoes. Simmer until flavors develop, about 10 minutes. Let cool, then sprinkle with chopped cilantro. Garnish with chopped mango, pumpkin seeds, and a lime wedge.